Spotify is celebrating its third birthday, with the streaming music company riding high on the wave of publicity that its deal with 7digital brought this week. Spotify announced on Monday that it had sealed a deal that would allow 7digital to sell music through the popular service. The past few months have already seen an incredible rise for Spotify, which offers ad-funded free streaming of music or a subscription service. The Swedish company is now celebrating its third birthday, with a blog post stating the reasoning behind the whole concept. "Spotify turns three years old today. Yes, we really did start the company on April Fool's Day. It's been an amazing ride since we first set out to change the way people listen to music and while we've come a long way we still have a lot to do," blogged founder Daniel Ek. "Since we began a lot has changed in the music industry; in particular over the past ten years there has been a radical shift in the way we consume music." 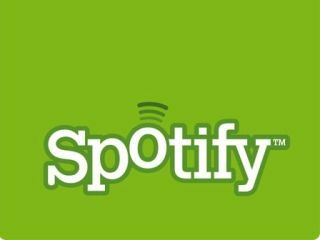 Spotify is now looking to push its application onto as many platforms as possible, be it set-top boxes, the iPhone or on social networks. "To reach our goal it's important for Spotify to be wherever our users are. Music should be accessible on your favourite platform whether that's a social network, an IM service, a mobile device or a media centre in your living room," adds Ek, who gives a glimpse of the future for Spotify. "It's also vital for us to be able to continue to provide a free service that is supported by advertising and has the same content as our paid service. "To attract customers to Spotify Premium we want to provide access to more social features, bring users closer to the artists through pre-releases and live concerts and provide convenient access on a variety of different devices," concludes Ek. "We plan to have more detailed information for you in the next few weeks, stay tuned."